Li Mei and some of the Ni Hao VBS students. This week we are highlighting Li Mei Danzeisen. 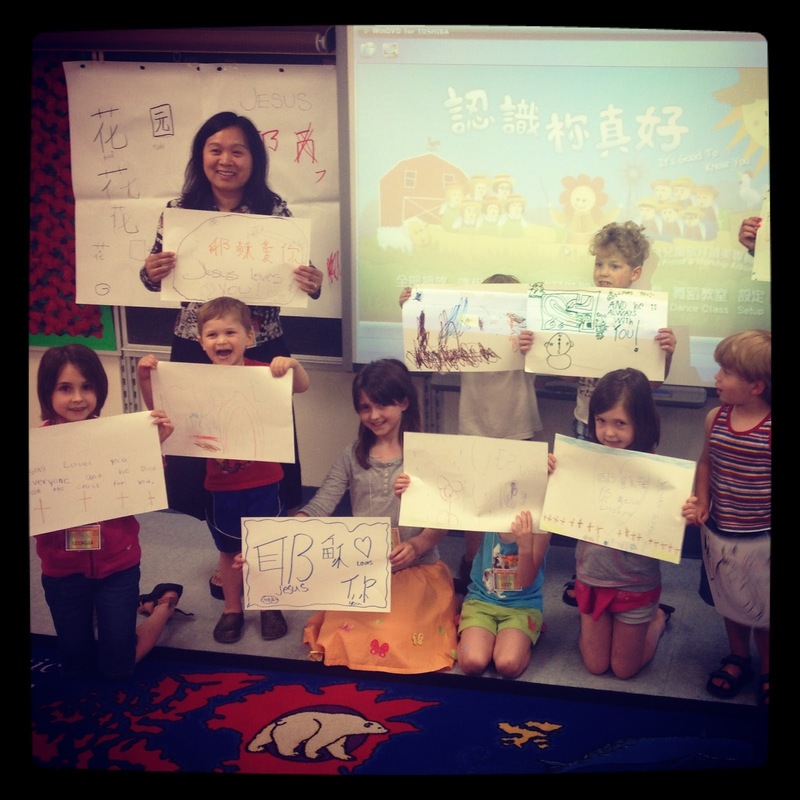 Li Mei works at the College of St. Benedict as a instructor of the Chinese language and culture. When approached this spring by about helping lead a Chinese/English Vacation Bible School experience for children ages 5-11, she jumped at the chance to share her culture and language with others. 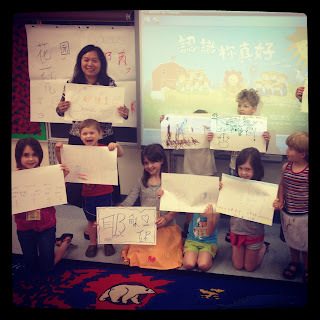 Although the Ni Hao Vacation Bible School took place in June, Li Mei and several parents from the Chinese Immersion Program have teamed up to host a monthly Saturday morning bilingual workshop for children and their parents throughout the fall. The curriculum for the fall workshops. 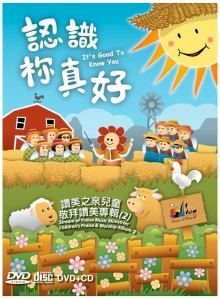 The Ni Hao curriculum, coupled with Li Mei's guidance on writing and pronouncing Chinese characters, is a fun way for parents and children to work and learn together as they combine faith with practicing their language skills and learning more about the Chinese culture. As I visited with Li Mei about deciding to volunteer her time and talent first to the Ni Hao Vacation Bible School and then to the Saturday morning workshops this fall, her passion for children - both from her homeland of China and Central Minnesota - was apparent. She has big dreams for someday helping lift rural Chinese children out of poverty and hopelessness. In the meantime, she serves has a bridge between two cultures and loves sharing her faith, her language and her culture with the children (and parents) in our community. If you are interested in the Saturday morning workshops this fall, send us an email at theruthexperience@hotmail.com or send us a private message on The Ruth Experience's Facebook page, and we'll make sure to pass on your contact information.